Lucas Assembly Lube is designed to be used as an initial lubricant to metal surfaces. Lucas Marine Grease is premium, extreme pressure, multi - purpose, heavy duty lithium complex grease. Lucas Tool Box Buddy 11oz. Lucas Fuel Stabilizer is the best solution to prevent gasoline breakdown during storage. Lucas Tool Box Buddy is one of our newest products packaged in an aerosol can. SAE 20W-50 Lucas High Zinc Break-In Engine Oil Qt. This is no normal ATF formulation. 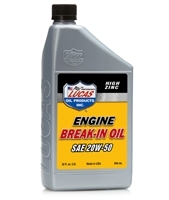 Lucas engine break-in oil is designed to protect your engine on its initial startup. SAE 20W-50 Lucas Semi Synthetic Racing Engine Oil Qt. Lucas Octaine Booster is a Genuine Performance Enhancer. Lucas racing only high performance motor oil is blended with an exclusive additive package that includes lubricity agents and anti-seize agents. SAE 20W-50 Lucas Extreme Duty Marine Engine Oil Qt. Lucas Marine Engine Oils are manufactured with the highest quality paraffinic oils and additive package. P/N ALL-78246 This CMD extreme pressure tube can withstand high temperatures and pressures of up to 50,000 psi. 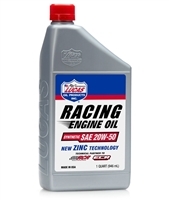 SAE 20W-50 Lucas Synthetic Racing Engine Oil Qt. 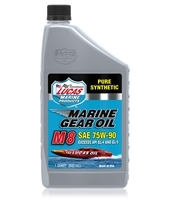 Lucas Pure Synthetic Oil Stabilizer is perfect for use in new equipment that requires synthetic oils or any equipment that needs enhanced performance.